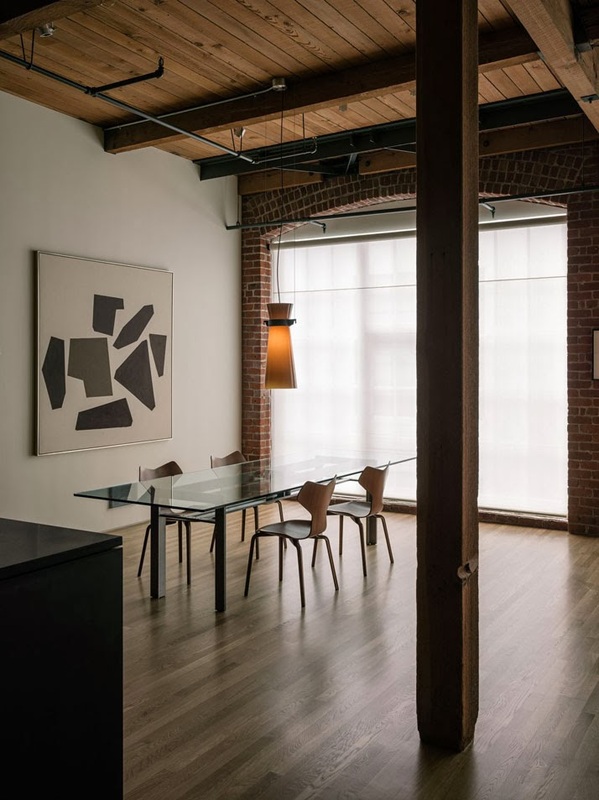 Located in San Francisco, California, this loft by LINEOFFICE Architecture is an interior renovation project where new elements and materials complement the the original structure’s existing columns, beams and ceilings without overpowering the space. 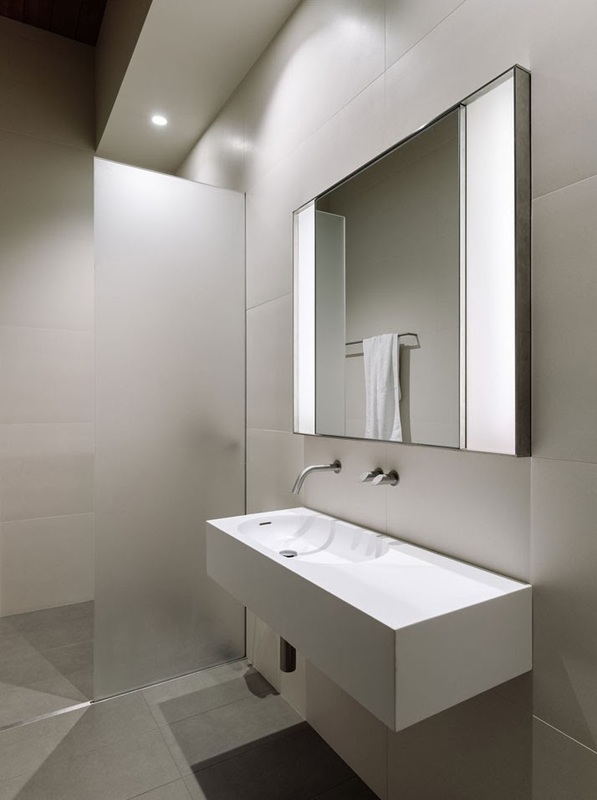 The minimalist interior space is open and spacious with a substantial sense of intimacy. 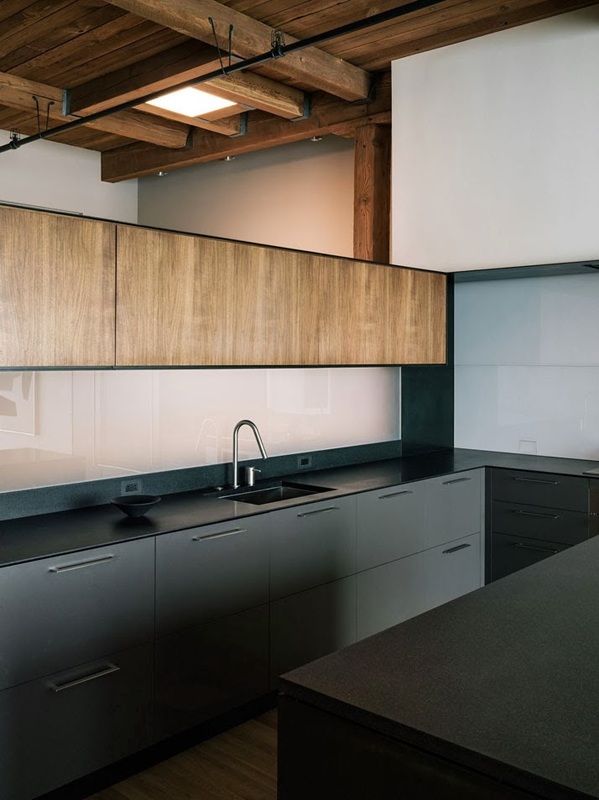 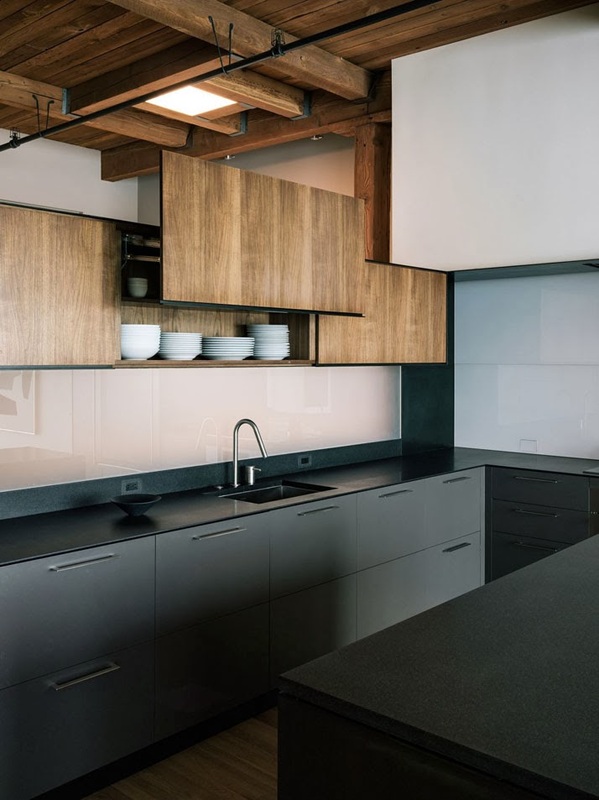 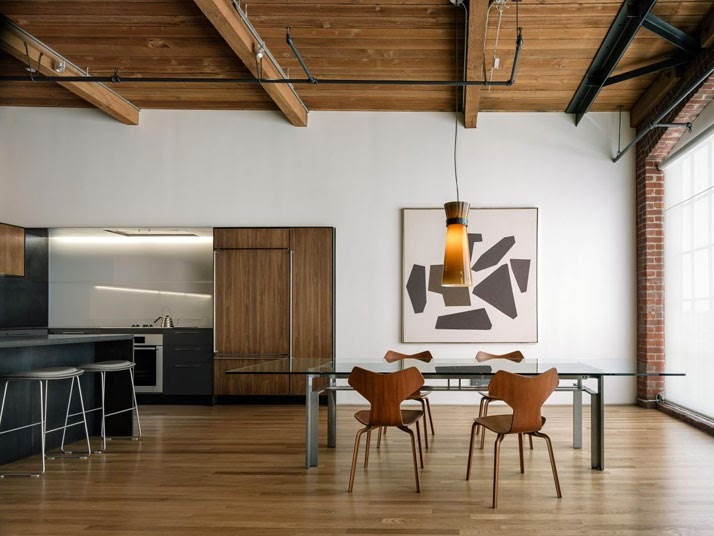 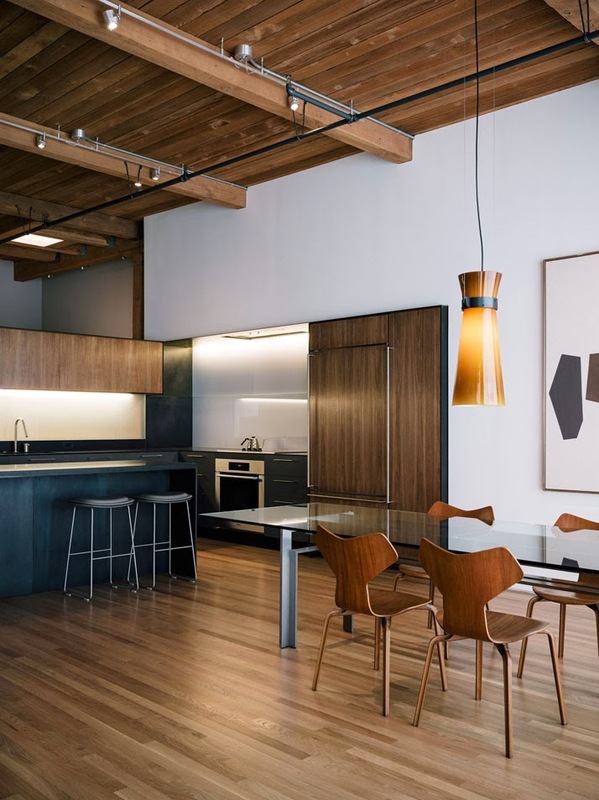 An interior renovation of a 1,150 SF loft in the SOMA neighborhood of San Francisco, California. 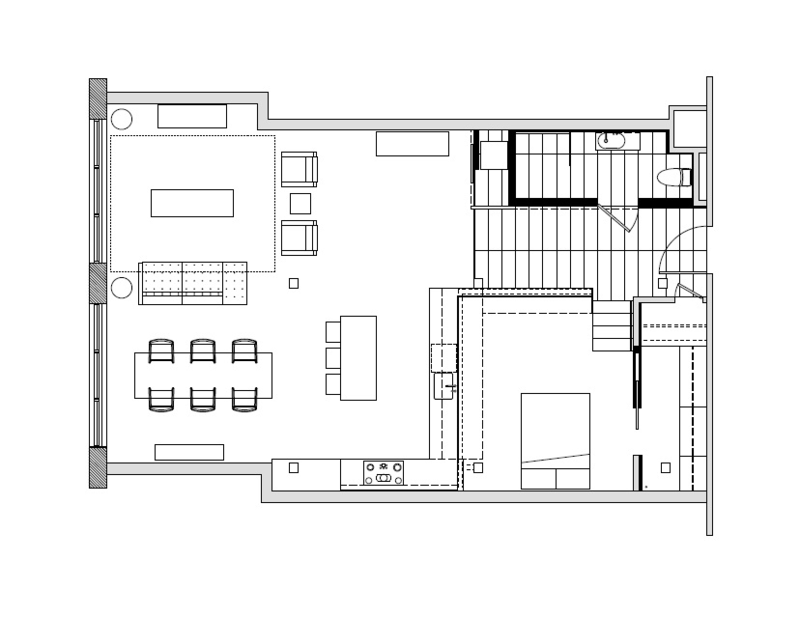 The aim of this project was to meet the functionally separate domestic requirements of the owner in a space that would feel completely open and uninterrupted. 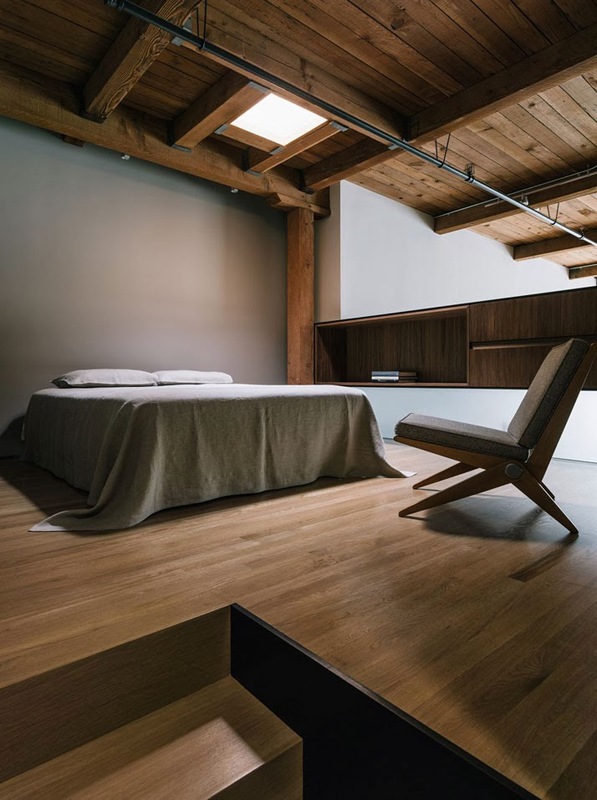 After the existing space was cleared two programmed sculptural elements were inserted: 1) a multi-sided ‘spine’ that moves from one end of the loft to the other and 2) a solid form that contains the necessarily enclosed bath and laundry areas. 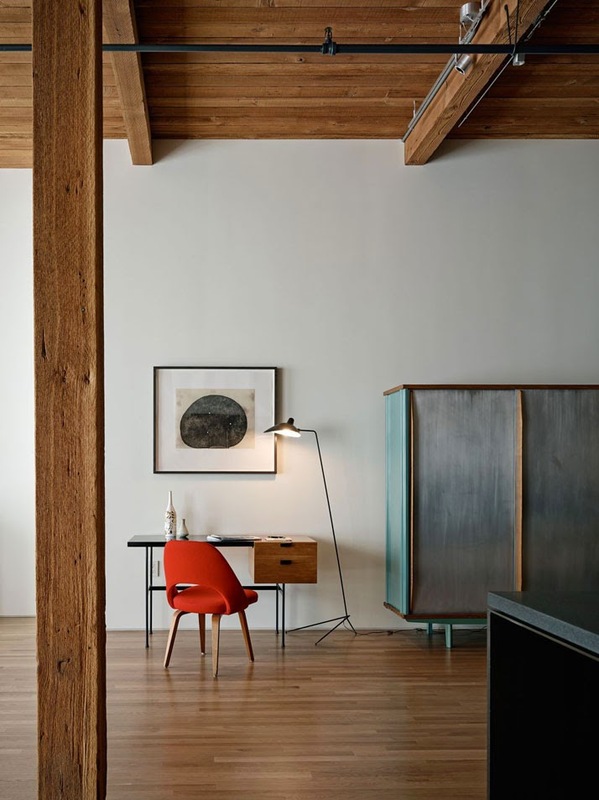 The spine houses everyday domestic components (storage. 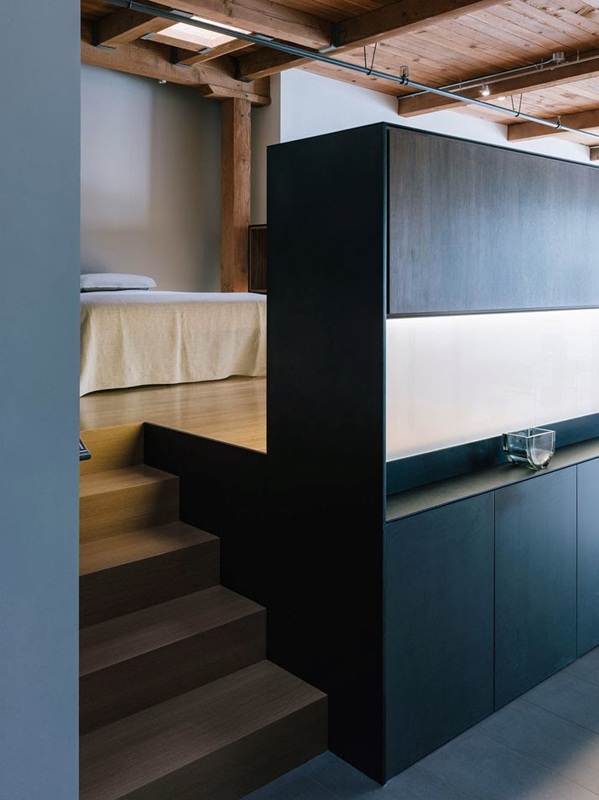 dresser drawers, kitchen cabinets, etc…) while navigating the subtle boundaries between the entry, sleeping, kitchen and main living areas. 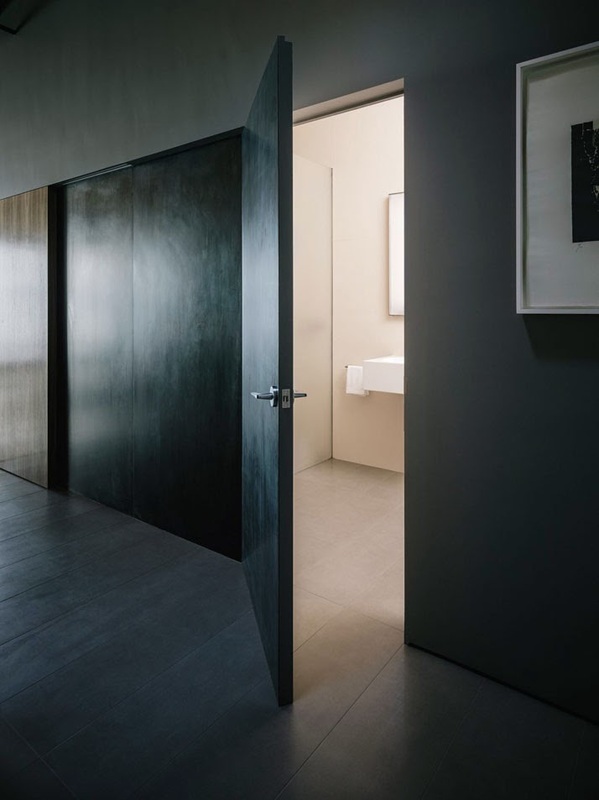 The solid form is carved away (using steel and walnut doors and panels) to reveal points of access to the bath and laundry room. 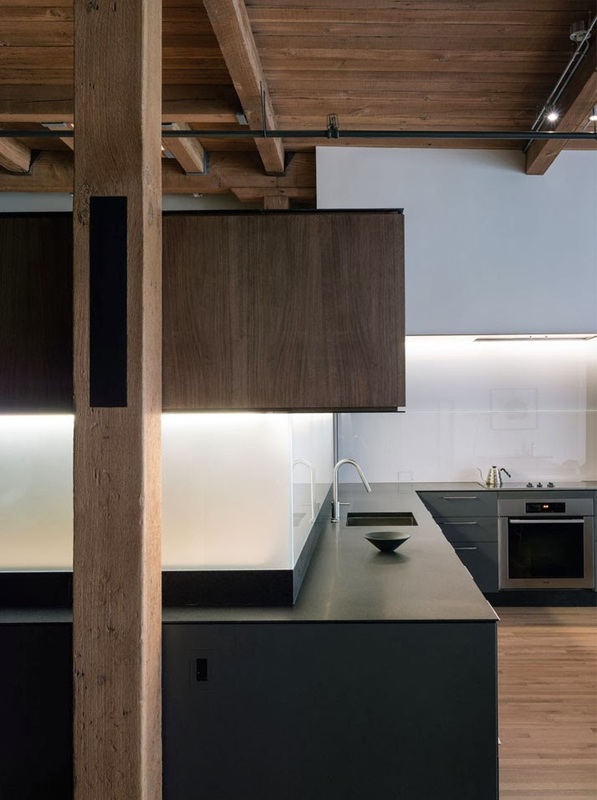 These impressions on the otherwise blank plaster walls of the solid echo the materials and proportions of the more articulated spine. 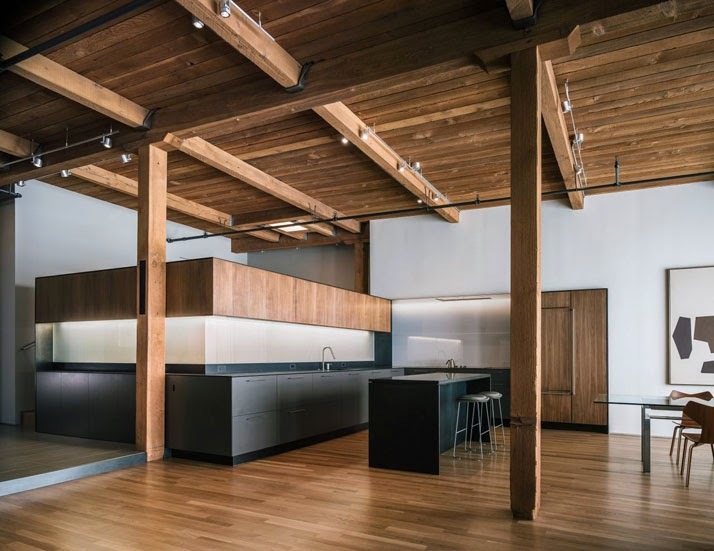 The material character of these elements (blackened steel, painted and walnut veneered casework, black granite and translucent glazing) was selected to complement and showcase the existing doug-fir columns, beams and ceiling without overpowering the space.